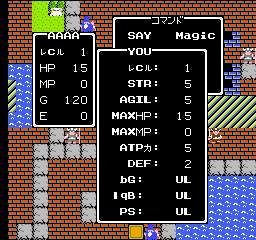 ABOUT MY HACKED TRANSLATION OF DRAGON QUEST JAPAN. 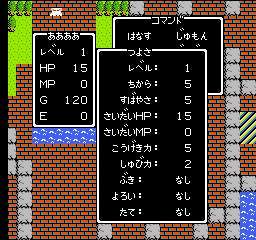 some other game items are hacked to english such as the silver harp and some battle text is hacked to english. this is the last patch before i start using my new font. 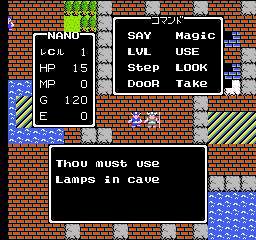 the story behind the hack, first off i will say me no speak japanese nor can i read it. 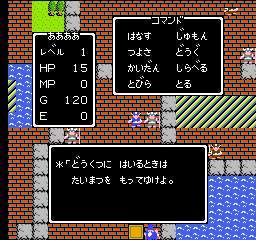 hell me can't even spell it, but i have been playing dragon warrior for over 25 years so i kinda now what thing's are in dragon quest, so i was able to feel my way and kinda translate it to english atho there is no accerate translation of any thing. what i did was hack in an english font then made a font table and made up the rest that's why this is not a valid translation from japannesse to english. SORRY if i offended anyone it is not intentional me just can't spell. well it's storming right now. i hate lighting. THERE WILL BE SCREENSHOTS HERE AS SOON AS I GET TIME TO UPLOAD THEM.